Step out of San Francisco with an excursion to Wine Tours & Tastings in Napa--about 1h 10 min away. 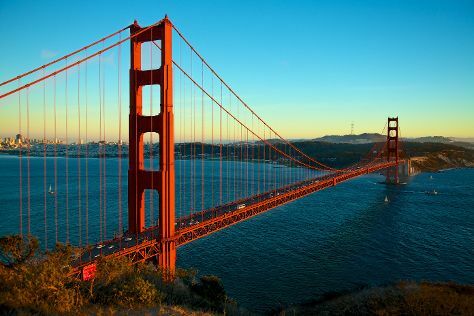 Next up on the itinerary: snap pictures at Golden Gate Bridge, take in the waterfront at Fisherman's Wharf, don't miss a visit to Washington Square, and take in the awesome beauty at Twin Peaks. For ratings, more things to do, reviews, and more tourist information, go to the San Francisco trip tool . Thomaston to San Francisco is an approximately 8.5-hour flight. You can also drive. Traveling from Thomaston to San Francisco, you'll gain 3 hours due to the time zone difference. In December in San Francisco, expect temperatures between 59°F during the day and 45°F at night. Cap off your sightseeing on the 7th (Fri) early enough to travel back home.